Nothing excites L.A. fashion editors more than the news of a major designer coming into town. While we usually have to travel far and wide to nab seats at big shows, much to our delight, every once in a while, a brand will decamp for the West Coast. Stella McCartney and Dior were among the brands that paid L.A. visits in recent years, and today it was Rodarte’s turn. Although the brand is headquartered here, Rodarte has always chosen to show during New York Fashion Week, so the specialness of the occasion was not lost on us. Of course, the L.A. location was primed to attract scores of celebrities who dressed in their best Rodarte looks. 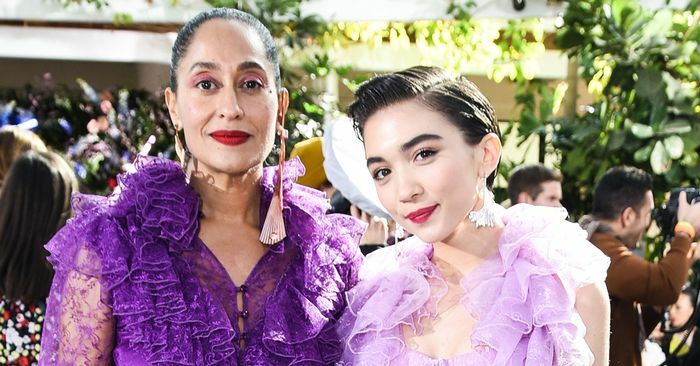 Dakota Fanning, Tracee Ellis Ross, Shailene Woodley, and Rowan Blanchard were among those who wore the brand’s fairytale-worthy dresses in the front row at the Huntington Botanical Gardens in Pasadena—which, not coincidentally, is the hometown of designers Kate and Laura Mulleavy. Scroll down to see the best celebrity looks from the afternoon.